Following numerous awards, one would imagine that the demand for General Motors’ new golden vehicle, the Chevrolet Volt, would be sky high. It fact, that seems to be true, despite the fact that the new electric car has yet to arrive in showrooms. Last year, the Volt was launched in seven markets, Washington DC, Michigan, New York, New Jersey, Connecticut, California and Austin, Texas. The latter of those seven markets was given 20 examples of the Volt, all of which were sold, according to the Houston Chronicle. Of course, more Volt’s will arrive in the great state of Texas in late February or early March, but chances are those will sell out quite quickly as well. General Motors plans on upping production of the fuel-efficient electric vehicle to 25,000 cars this year to meet the demand and 45,000 in 2012. So far, up to 50,000 people have signed up for the “want list” on GM-Volt.com. This is more than double the number at the Volt’s launch. Of course, this demand was started thanks to a brilliant marketing campaign and numerous automotive publications featuring the Chevrolet Volt. In fact, the Volt won the Car of the Year award from Motor Trend and Automobile magazine. While there are people out there that don’t read these publications, awards are always welcome in the advertisers world. Besides winning prestigious awards that were once handed out to vehicles such as the Chrysler Cirrus, content customers are fantastic for sales as well. 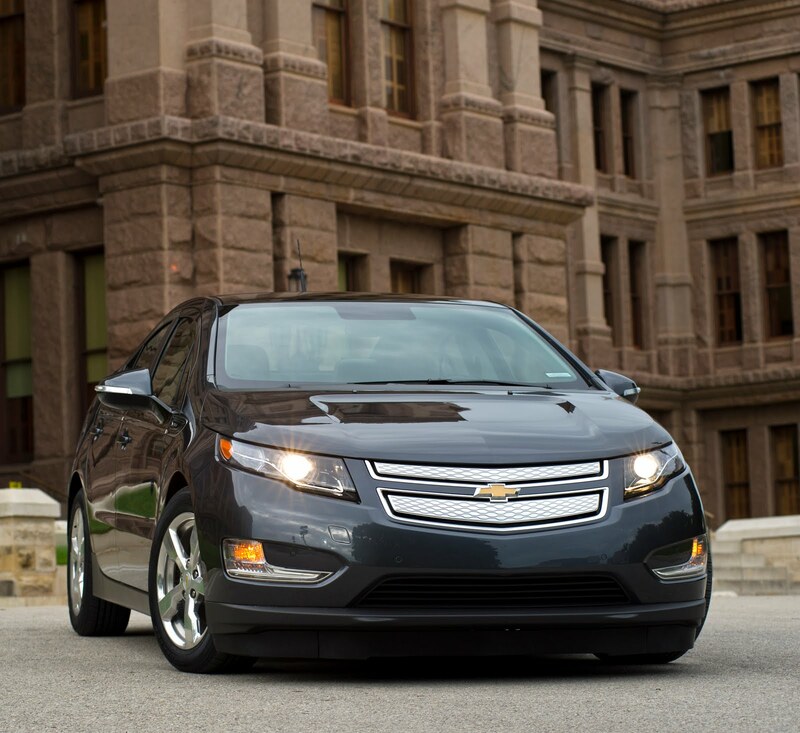 One Texan, Don Heihn from San Antonio got his Volt last year and so far so good. Not only are the Spurs one of the best teams in the NBA, but also his sedan has only used 5.6 gallons of fuel during 1,000 miles of driving. Needless to say, that is fantastic mileage, considering the fact that the Volt’s tank only holds nine gallons. For those of that you that have been living in a hole for the past few months, let’s just go over the Volt’s specs. The electric-vehicle packs a 1.4-liter four-cylinder engine that helps charge the lithium-ion batteries. The engine can also power the wheels if needed. The car can travel up to 35 miles on battery power alone before the engine kicks in, raising the car’s range to 350 miles. While the engine charges the Volt’s batteries once the car is moving, the vehicle must be plugged in and can take up to 10 hours to get a full charge on a normal 120-volt line, or four hours if one has a 240-volt line. Now, the Volt comes at a steep price, $41,000 to be in fact. Yet, one can get a $7,500 tax credit to help that purchase price a tad. Still, it might be worth it if driving is something that needs to be done every single day.